eCommerceFuel Live is an annual event that brings together successful eCommerce store owners that make an annual revenue of $1 million or more. It’s a great conference where top industry experts will talk about the revolutionary trends that will frame the future of eCommerce. As 2016 marks the third successive eCommerceFuel Live, the event will witness a plethora of top eCommerce brands and a highly vetted audience. 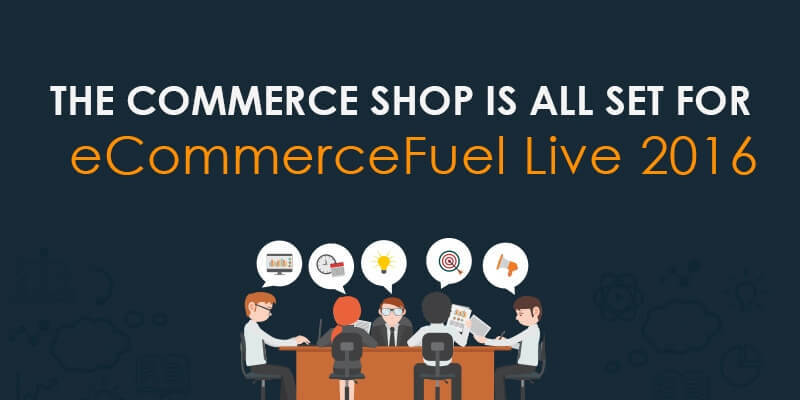 If you’re looking to build strong networks and learn different technologies, approaches, tools and innovative ideas to develop your eCommerce business, then eCommerceFuel Live is definitely the right place to be. We’re sponsoring at the Silver Level for the 2016 eCommerceFuel Live for the first time. We are incredibly excited to meet eCommerce giants from all over the world and across diverse industries. We can’t wait to listen to their stories and experiences that helped their business grow. As you know, Conversion Rate Optimization (CRO) has become a significant opportunity for businesses to generate traffic and increase sales. Our CRO experts have helped several companies realize their conversion potential and provided real-time solutions that best suits their business. But we won’t just talk about eCommerce dev and CRO – We have a lot of exciting giveaways and other offers awaiting you at our table. Silent Auction for our All Encompassing & Full Conversion Rate Optimization Audit – Proceeds go to help make eCommerceFuel Live 2017 a reality! So, don’t forget to visit our table and learn about our eCommerce CRO, personalization and development offerings. And come join the strongest eCommerce community that’s helping us all understand how we can evolve together with the future of the industry.